I’m so sorry that my upgrade meant only one of you could get upgraded. B. Lev., you should have let M. Lev. have the upgrade. It’s not because she is a woman and your wife (I assume); it’s because she became insufferable (and likely will punish you later). 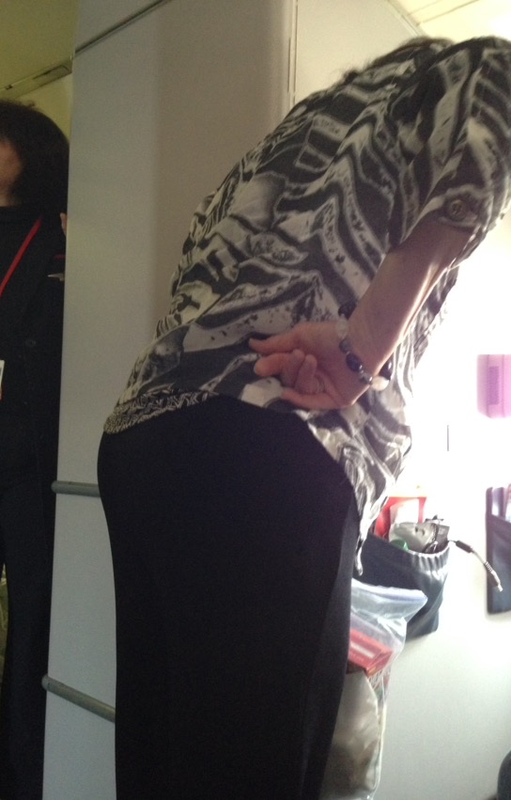 I’m sure you are lovely people under normal circumstances, but I witnessed some problematic behavior on the plane. Reminded B. Lev. to call his mother. Then took a swig of his drink. Stood silently listening to him talk loudly on his phone. Asked if he had, in fact, called his mother. Took another swig. During the flight, you even came up to harangue him outside of the lavatory. Good grief! B. Lev., maybe I’m bitter because I wanted your window seat, but I really found the whole scenario completely beyond the pale. M. Lev., I’m sorry you appear to have married a selfish old goat but, to quote a popular song, “Let It Go.” Enough with the not-so-subtle reminders that he did the wrong thing by taking the upgrade himself. If I’ve misinterpreted the situation, I apologize. What do I know? I just observe and report.